By dwelling on the past we ignore our present and future. If I were not trans my wife and I never would have met. If I were not trans I never would have_______…Fill in the blank with any of the experiences that made me who I am today. And if my body and self had been aligned which gender would I be? No. Despite all the pain, suffering and confusion I experienced over the past 65 years I would not have it any other way. Because if I were not trans I would not exist. Someone else would. But not me. I’ve had almost this same conversation – that I identify as a philosopher and a writer more deeply than I do as anything to do with gender. 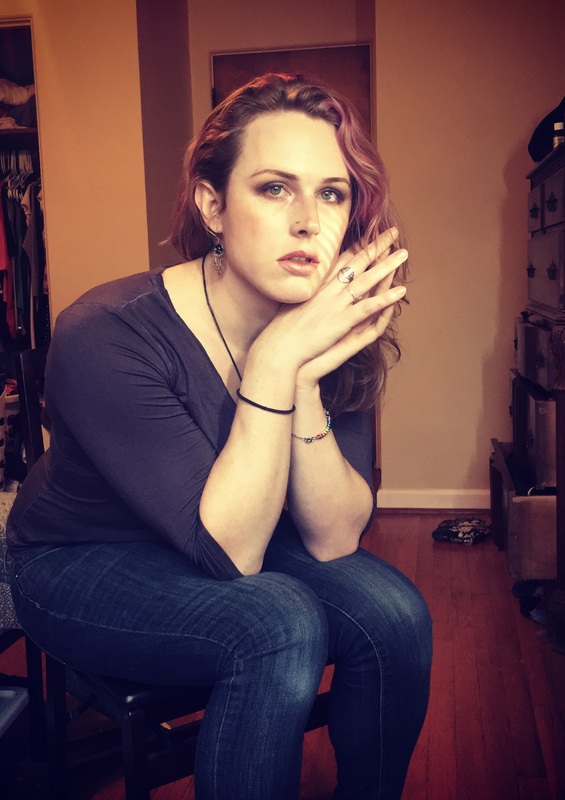 Trying to compare those two levels of my identity has been really confusing – I know with such certainty that those things are Who I Am, but when it comes to labeling myself with a gendered term, I can’t understand what it would mean to feel one way or the other about it. I’ve spent a lot of effort trying to deconstruct gender into constituent parts and delineate my feelings based on those, but nothing I can do with that comes out to an integer value. It feels like Zeno’s Paradox – every time I work out an answer to something about myself, there’s another little piece left over, and another, and another, each smaller and yet significant. And so maleness remains, as in my life as in our language, the default answer. I wonder, given my experience whether all of us specifically choose to have experiences we have in the phenomenal world, yes, including trans-ness and all with that comes with that – for the variety of experience, for the adventure of it, and as a way of perhaps demonstrating to others a potentially new dimension to what it means to be human, to be alive, to freely express, to discover. If that were the case, that we choose ahead of coming “in”, then, who are we? What are we? I believe one would then have to also ask: how do some of us find their personally-chosen experience so deeply painful? Lots to ponder here…..glad someone pointed me to this one. I’d like to hazard an explanation for why “born in the wrong body” is such a strong metaphor. The question of what the “I” we feel like we are actually is, is an interesting one. And we can learn a lot about our experience of it from the way we talk about it. Am I just the totality of my bodily functions? In one sense yes. But the way we often talk about the experience of “I” doesn’t map on to this. We feel like have bodies rather than that we are our bodies. Studies have shown that we actually tend to feel like we exist inside our bodies, specifically just behind our eyes. We also feel like we have a degree of agency that we don’t attribute to our body as a whole. If I decided to stop feeding myself most people would feel justified in blaming me and trying to persuade me to change my ‘mind’ in a way that they would not if my body stopped producing red blood cells. In such a scenario we would likely feel victim to our failing body. As such there is a distinct difference between the way we experience our body and our conscious experience itself. The ‘I” that we identify as synonymous with has much more to do with our state of mind than it does our chromosomes, which we have no conscious experience of, or our bodies more generally which we feel in some sense separate from. Whether or not this (dualism) is a philosophically sound way to talk about the self is much debated, but it is undeniable that this is the experience of self that most of us have. It is therefore unsurprising that “born in the wrong body” is such a powerful metaphor for a lot of people. The idea that the body is merely a vessel in which the mind exists seems to be a universal experience. So when “I” say ” ‘I’ am a woman” it is the mind that takes priority over the body, and the body therefore that is taken to be “wrong”.